We offer a variety of Supportive Care floor plans. Based on availability, you can choose the floor plan with the square footage that best fits your lifestyle.The Long Community at Highland offers plenty of room for you to enjoy life and become the person you want to be. 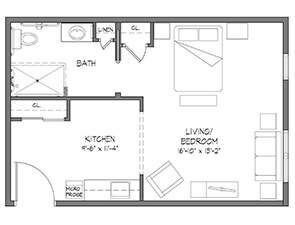 Our floor plans range from 396 to 440 sq. ft. and offer a wide array of amenities. We invite you to view all our Supportive Care floor plans below or take a virtual tour of our community. 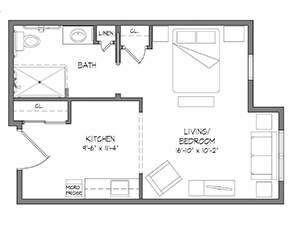 Sample floor plans available at Long Community at Highland.